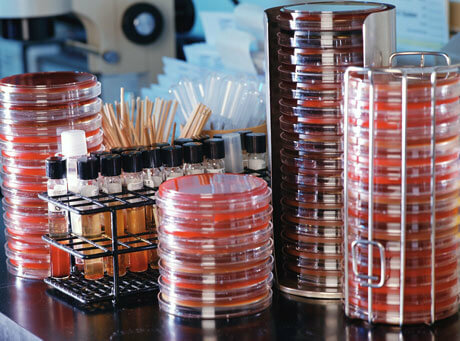 Medical lab technicians conduct chemical analyses of body fluids, such as blood or urine using microscopes or automatic analyzers to detect abnormalities, diseases, or substances. They log their findings in a database or forward their reports as directed. They may further analyze the results of tests or experiments to ensure their tests are conforming to exact specifications. The lab technician is responsible for set up, maintenance, calibration, and sterilization of medical lab equipment.